The settings file stores all parameters (and its values) of an Expert Advisor or Indicator in one file. This makes it easier to share settings with others or to store them on your computer for later use. You can save and load setting inside the Inputs tab of your Expert Advisor or Indicator. To open the Properties of an Expert Advisor, right click on the chart > Expert Advisors > Properties. 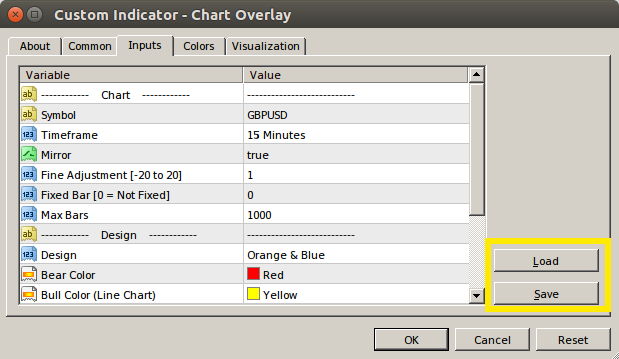 To open the Properties of an Indicator, right click on the chart > Indicators List > Choose indicator > Edit. By clicking on the Reset button in the right below corner, the EA will use its default settings. As long as you have enough margin to open a trade with your broker with $100, the EA will trade. Where do I download the source file of those free EA & Indicators? The source code is not available. They work on real accounts an on some offline charts. i have used stochastic oscillator basic EA. it is not working. please guide me how to use it.how it will take automated order ?? Have you installed it correctly? Do you use the default settings? I have recently purchased Stochastic Pro EA. It seems as if it can only close or open a trade at the closing of a candle. how do i set it to open or close a trade before the candle closes? You can change this with the parameters “trade on new bar” and “close on new bar”. 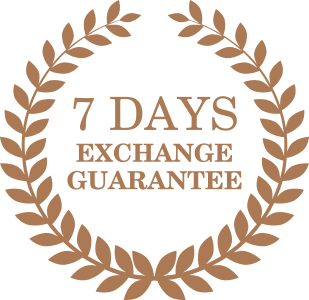 Please I want to purchase your EA this week and I want to know if you accept Mastercard issued by Nigerian Banks. I also want to know if one can use your EA at default settings and achieve meaningful result. Yes, I accept MasterCard. No, you have to optimize the EAs first. I purchased your bundle of expert advisors. I tried to save my setting your guide on *.set file “save” and “load” so that I do not have to do the setting one by one on each pair. The problem, I am having is that when I click on save and window pop up with *set option but when click save nothing happen even if I added a name. Would you please provide us with a guide from the beginning to the end. You should simply be able to enter a “File name”. For example “MyEASettings1” (without *.set or .set). Then choose a folder to save and load it from. the ea i received in email does not have same settings you show. my question is what time frame and what pair is the email ea to be used on ? do you have pdf for the Chaos ea ? You can use all of my EA on any symbol and timeframe. Please check its product page and the functions glossary. I did the following settings for candle trailing but it went up and down with price. Please contact me directly via this form.